(ARA) – At first thought, winter might not conjure up words like spicy, bold or sunny. It should, though, at least when it comes to the inside of your home. While it might be gray and dreary outside, infusing color into interior decor is one of the quickest ways to create a cozy, inviting living area. And winter is the ideal time to do it. Adding a shot of color to a space can be done quickly, but it can sometimes be confusing. In fact, mastering the ins and outs of decorating with color can be downright daunting. So, how do you break out of that ‘color comfort zone?’ You can start by using available color tools such as those found in Martin-Senour’s color selector. Not just about wall color, it offers unique tools designed to help you balance the entirety of a home’s interior design as well as room-to-room balance and flow. From wall color to room accents, the color selector is a resource for complete home design. Red As the strongest color in the spectrum, red has the greatest emotional impact. Depending on the hue and shade, red resonates with passion, romance, energy and courage. In recent years, it’s become a popular color choice for dining room walls, but the drama of red is also ideal for entryways, living rooms and even bathrooms. The color combination of red with neutrals, such as tans and browns, results in warmth that is certain to carry you through those cold months. Orange Orange has evolved throughout the years; think terracotta and copper tones. It enlivens any space and can easily take center stage as a primary wall color, or as an accent color to give a refreshed decor a bit of much-needed punch. When paired with blues or purples, a spicier orange can be very powerful. For a more subdued effect, combine it with warmer colors like reds and deep, welcoming greens. Yellow There is no better color to radiate warmth in your home than yellow, but don’t underestimate the intensity of this color. Bright, strong yellows on walls are almost always best saved for an area like the kitchen because they are said to increase attentiveness and have ‘wake up’ qualities. Creamier yellows – think the paleness of fresh butter – are popular in living rooms and can even translate well into bedrooms when joined with a classic red or blue. Purple Purples have a powerful connection with our spiritual and introspective side. Because purple has varying degrees Lavender creates a calm atmosphere in the bedroom. of red and blue in it, it’s easily paired with many complementary colors such as yellow, orange and softer greens. When slightly redder, purple can be vivacious and exciting; when slightly bluer it can be restful. If you’re using purple for a room, decide whether the room is designed to entice drama, as with an eggplant-hued purple, or cast an air of relaxation and reflection, as found in a hydrangea shade. Red, orange, yellow or purple, no matter what color you decide to use to help shut out those dark, chilly winter days, keep in mind that all colors can evoke powerful effects in any room. Understanding the basic building blocks of color can help you harness that power and create the stunning color schemes you’ve always wanted. Lavender creates a calm atmosphere in the bedroom. Completely UPGRADED 2-Story 4 bedroom home located in a cul-de-sac lot in desirable Champion Forest. New Hardy-Plank installed 2-3 yrs ago with fresh paint. Neutral Colors throughout home – New Tile – New Carpet – New Granite Counters & Sinks in Kitchen and Full Bathrooms – New stove cook top – Formal Living and Dining – Large Den with fireplace and wet bar – Walking distance to Brill Elementary with access from cul-de-sac – Klein Schools. Call Amanda Nicodemus to schedule an appointment 281-380-5589. 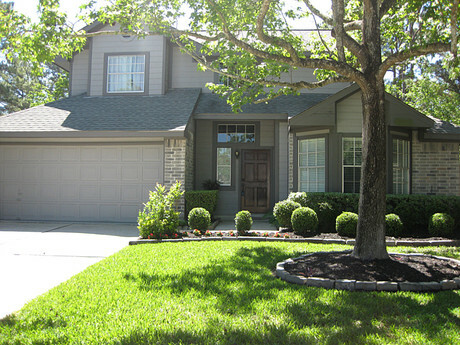 This beautiful single story home sits on 3/4 acre in Crighton Ridge and has a gorgeous pool!! 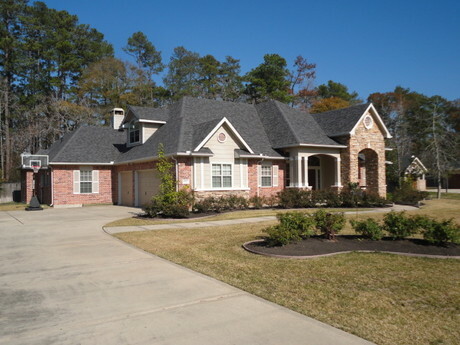 Constructed of brick and stone, the home has a great front porch and a 20×40 covered patio. Wood floors are in the entry, dining and hallway while tile flooring flows through the open kitchen, breakfast and family rooms. The kitchen offers lots of cabinets and granite counters, tumbled marble backsplash with granite inserts and a nice pantry. Refrigerator included along with water softener. Call Amanda Nicodemus 281-380-5589 for a private showing. Meticulous updated home in Champion Forest boasts fresh paint and fixtures, an open kitchen w/recent tile floor, backsplash & countertops; a breakfast room, formal living & dining rooms, a cozy fireplace, 5 bedrooms & 3.5 baths! First Master suite is downstairs, Second Master suite, a large study/library & 3 secondary bedrooms w/huge closets are up. Tons of windows add to the light & bright feel of this home. New back patio w/drain, a detached roomy garage and a fabulously maintained, private backyard. Call Amanda Nicodemus for a private showing. Barely lived in 2 story home in Pinecrest Forest. 2 story entry is bright & welcoming. 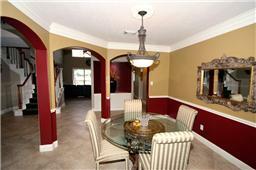 Formal living/dining. Island Kitchen + Breakfast opens to Family Den. Study just off Family Den can also be used as a guest bedroom; adjoining door to guest bathroom & closet. Master Bedroom + sitting area, high ceiling, ceiling fan. Master Bathroom with dual sinks, separate tub/shower, walk in closet! Large secondary bedrooms. Zoned A/C. Sprinker system entire yard. Highly acclaimed Klein Schools. Minutes from Hewlett Packard. Walking distance to Silverado Imax Theatre. Call Amanda Nicodemus 281-380-5589 for a showing. Three 1/2 acre lots for Sale in Amberwood subdivision near Jesse Jones Park & minutes from Bush Intercontinental Airport in Humble Texas. New construction is still being built in Amberwood. Sprawling homes built on 1/2+ acre lots. Private lots ready to build your new home. Call Amanda Nicodemus 281-380-5589 for more details. Discount for purchasing all three lots!